Champions FC Platinum beat Ngezi Platinum Stars 1-0 in a Match-day 33 encounter played at Mandava Stadium on Sunday. Gift Mbweti scored the solitary goal on the stroke of half-time with a header after connecting Kevin Moyo’s corner-kick. Ngezi had dominated possession in the early moments, creating several chances which goalkeeper Petros Mhari superbly saved. James Nguluve and Kelvin Bulaji got the biggest share of opportunities, especially towards the half hour. 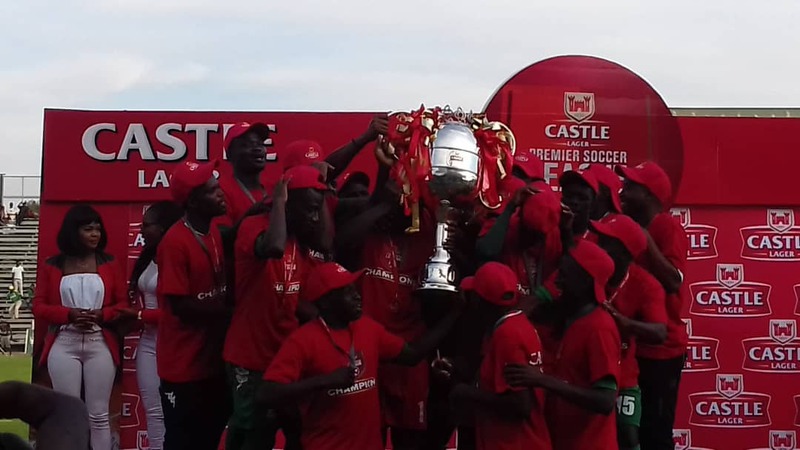 The second half saw little action from either side, and the game ended 1-0 in favour of FC Platinum who have officially been crowned the champions of 2018. At Barbourfields, relegated Bulawayo City humbled CAPS United 4-1 to stretch their unbeaten run to six games. Lucky Nyathi netted a first-half brace to add to goals by Devine Mhindira and Sipho Ndlovu while Makepekepe got their consolation through young Kelvin Ndebele. Elsewhere, the games between Herentals vs Chicken Inn and Harare City vs ZPC Kariba ended in goalless draws.